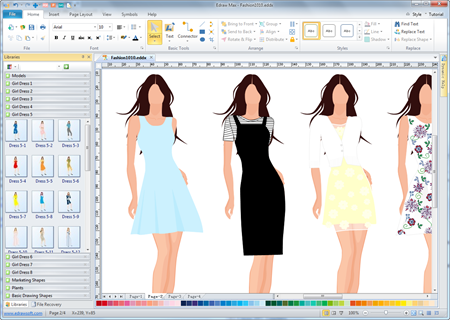 This article will show you how to create fashion design with an easy computer program. It focuses on new beginner and amateurs who don't know much about drawing. 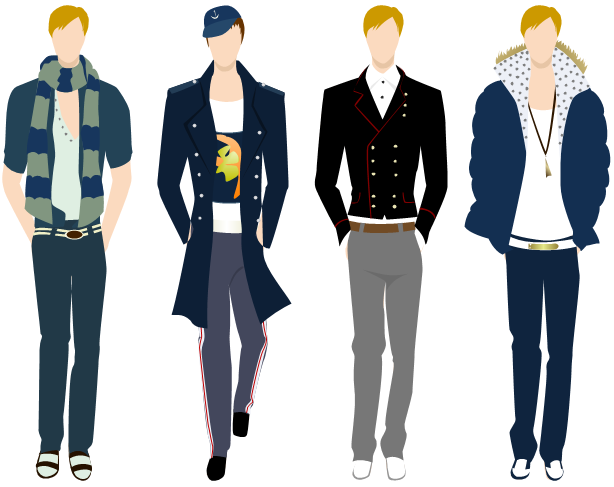 First, I am going to introduce this fashion design program about how it looks like, and what're the main features. The biggest advantage of this software is its simplicity. As you see from the following picture, it has a rather straightforward interface which resembles Microsoft programs. You can use it at the first sight, saving lots of time from getting familiar with it. On the left of the drawing canvas, there are libraries of models and design samples to use. A set of sketching tools under Symbol tab help you draft out any shape you want; and with rich color fill options, you can visualize all your design ideas. 1. Drag a model from the model library. Open the model library on the left of the canvas, and drag and drop a model. You can also use models from the built-in fashion design examples or draw a new one on your own. 2. Sketch out the clothes outline upon the model using the drawing tools. Switch to Symbol menu, and you will see a set of drawing tools containing "Pencil Tool", "Pen Tool", "Move Anchor", "Add Anchor", "Delete Anchor", "Convert Anchor", and more. It will take you a few minutes to get familiar with these tools. You can always turn to the Dynamic Help on the right side of the canvas. 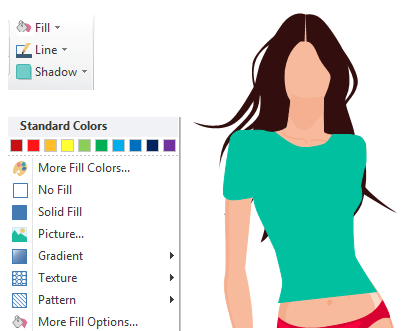 First, use the Pen tool or Pencil tool to sketch out the clothes. Then use Move Anchor and Convert Anchor tool to fine adjust the lines. 3. Apply fill colors and line colors. Go to Home menu and find Fill and Line buttons. Select the shape and apply a fill color and line color. 4. Add more patterns and embellishments. Repeat the above step to add more patterns and embellishments. Under Fill button, there is a pattern gallery with dozens of existing pattern to fill. Hundreds of fashion design examples available in the program. You can find men suit design, kids fashion design and women fashion design examples. Download a free trial and see first-hand how quickly and easily you can design your own fashion clothes.